Rotate the world bit by bit to get the jump on unsuspecting enemies. Austrian publisher Kunabi Brother has published a grand total of two games on the App Store, and they’re both completely brilliant puzzle games. The first, Blek, is an absolute original: you’ll draw little lines or doodles with your finger, and then watch as they turn into self-propelled animations. You’ll do that in order to hit every colored dot onscreen in a single pass. It’s perfect for touchscreens, and like nothing else out there. 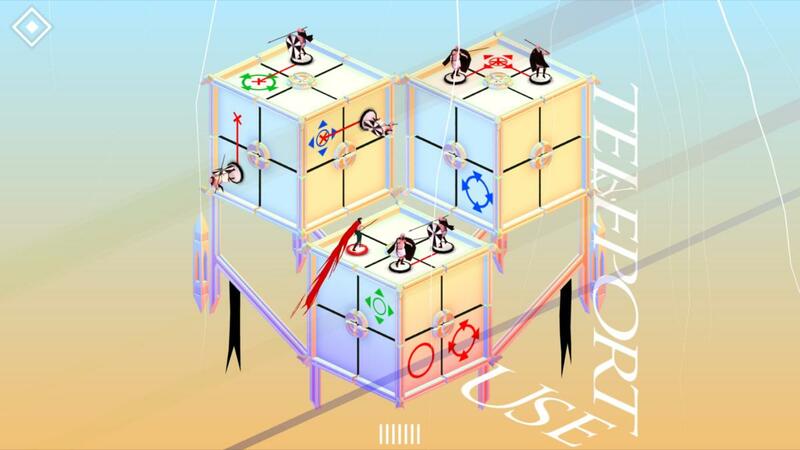 Euclidean Lands is nothing like Blek in style or mechanics, but it’s similarly ideal for touch. It also comes across as a fresh concoction, even if you can easily trace some of the inspirations that likely helped bring it to life. It has worlds that can be shifted like a Rubik’s Cube, one column at a time, creating impossible-looking environments like in Monument Valley. Meanwhile, the goal is to strategically outwit and defeat enemies on the grid-based surfaces, much like in Lara Croft Go and Hitman Go. The floating text here is both a promise and a threat. Even if Euclidean Lands feels like an amalgamation of elements from other great puzzle experiences, the result is uniquely challenging and seriously engrossing, making it one of the most compelling iOS originals so far this year. Think you can solve the 40 increasingly devious stages? Here’s why Euclidean Lands is such a treat. Math and smash: Euclidean Lands pulls its name—and philosophy, I suppose—from a study of geometry by an ancient Greek mathematician, but you don’t need advanced math skills to tackle this puzzler. Instead, all you really need to be able to do is rotate cube-based environments on different axes to position your spear-wielding warrior in a position to snuff out enemy soldiers. Rotate, keep moving, and try not to drool at these surreal, eye-catching moments. You’ll rotate entire chunks of the cubes exactly like a Rubik’s Cube, and the enemies can only attack what’s immediately in front of them, so you have an opportunity to slide in from the side or behind via some environmental trickery. It starts off simply enough at first, but as the game layers on more mechanics or limitations while dramatically increasing the complexity of the level layouts, things get very tricky. Ever expanding: The 40 levels here are split into five chapters, and each new chapter beyond the first shakes up the basic approach with some kind of challenging tweak. 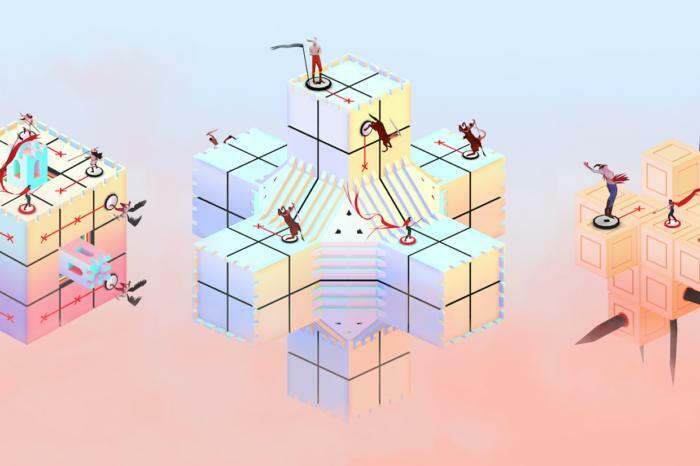 You’ll find levels that span multiple cubes and have strategic teleporters between them, for example, or encounter environments in which the enemies move every time you do. Later on, the stakes are raised… well, the spikes are raised, really. Portals! And the levels get a lot more complex than this example. You’ll encounter levels in which a giant spike emerges from the ground in the spot that you just left, ensuring that you can’t move there again. 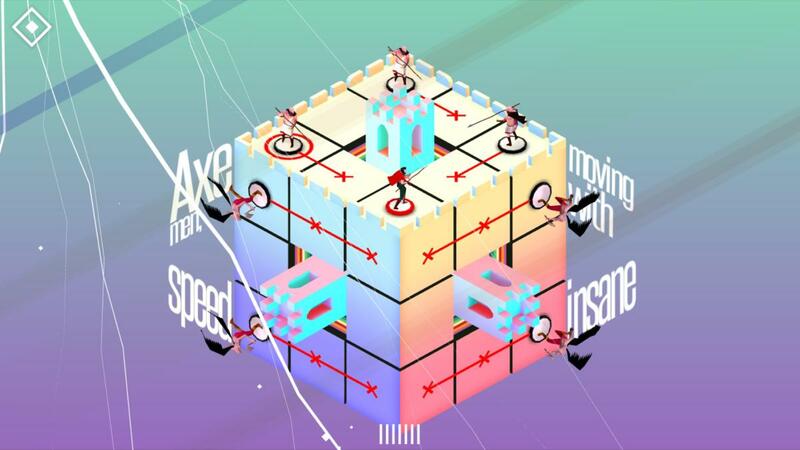 But then it also becomes a strategic attack element, as you can rotate adjacent cubes to impale enemies. Spiked floor panels and nearby switches provide another tactical consideration deeper into the quest. Forty levels may not seem like a lot when the early ones are relatively breezy, but you’ll likely pour a lot of time into those later ones. And there’s incentive to play with as few moves as possible, too, for anyone who isn’t satisfied with simply solving the stages. Ethereal lands: Amidst all of this, Euclidean Lands maintains a really eye-catching aesthetic. It’s a bit like Monument Valley in how surreal (or unreal) it all seems, with a light color palette to keep things bright and lively despite the challenge. And in a neat twist, there are written clues—and sometimes words of motivation—that hang in the air around the environments, which helps give the game a splendid edge. 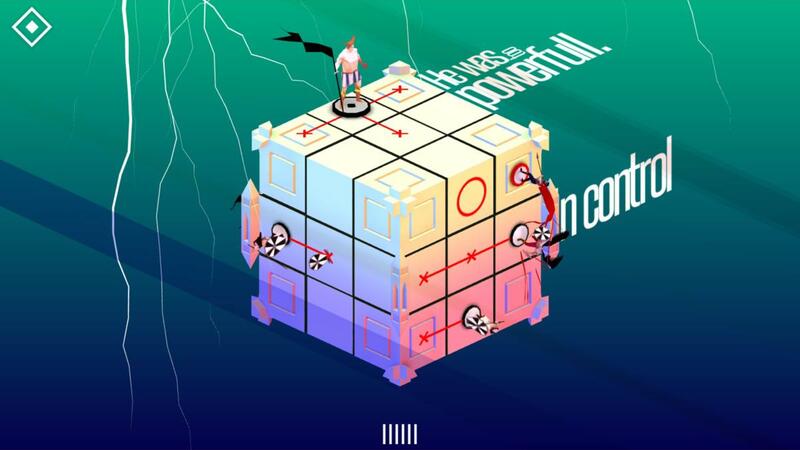 Euclidean Lands even has tough boss characters to try and outwit. 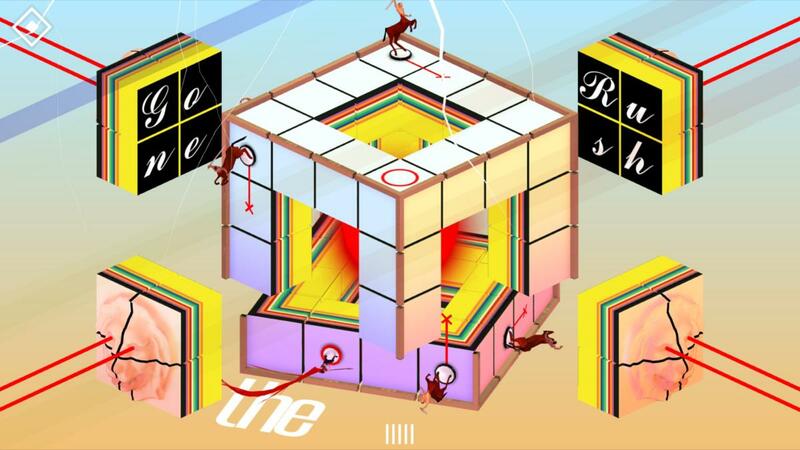 From top to bottom, Euclidean Lands makes a strong impression, and it’s definitely the kind of puzzler that you’ll want to noodle over for a long stretch of time. Luckily, there are no time limits, and no prodding, obnoxious free-to-play elements to push you along. It’s just a well-designed challenge built to boggle minds. Will yours be next?